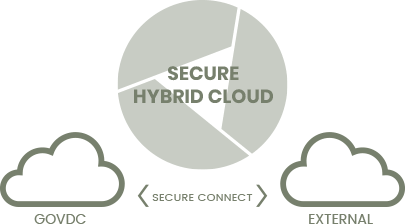 Our Secure Compute Platform can be packaged as a private, public, or hybrid cloud solution based on your business requirements. 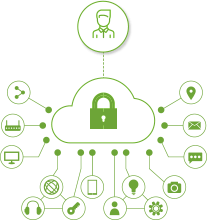 Security: Secure Logic’s cloud service offerings are designed to be robust, while meeting globally recognised information-security certification requirements which could remove the need for organisations to hold their own certifications. Innovation: New services and features are continually being developed, while minimising costs. New technologies such as social media, mobile platforms, and analytic tools are all available through subscriptions without large capital investments. Elasticity: Commoditised services can grow and shrink with the level of demand; consumers pay only for what they need when they need it. We look forward to discussing which solutions will be most profitable for you, please get in touch if you want to discuss it further. 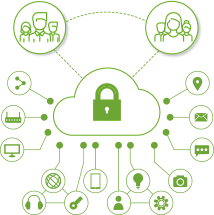 Our Secure Cloud Connect solution extends your on-premises deployment to public clouds in a protected manner. 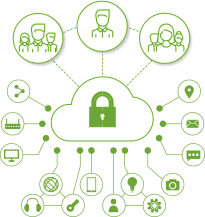 The vendor neutral, hybrid-cloud architecture allows organisations the full choice of offerings from public cloud providers.